Nintendo by far have pitched some really good titles for the mobile platform including Fire Emblem Heroes, Animal Crossing: Pocket, and Super Mario Run. Later this week though, we'll be in for another treat! This time, it's a free-to-play action RPG titled; Dragalia Lost. It's interesting how Nintendo brings new titles for its array of mobile-platform based RPGs - when it has an extensive library of good RPG franchises with a sure-shot following from fans alone (given the fact that they started late in the mobile game platform). Nonetheless, whatever their strategy is, knowing the production quality of the games we get from the game industry giant, a new franchise or not, it is still very much welcome. 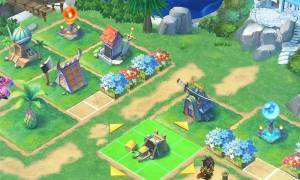 Dragalia Lost, as seen on its introductory Gameplay snippets, is a conventional mobile platform style RPG that pitches the player to take the role of the protagonist -- the 7th in line heir to the throne of Alberian Kingdom. In the game, you are among the royal bloodline that has the unique ability to form a pact with dragons, and call forth its power (and shapeshift into the dragon that you've made a pact with) whenever you need its strength in battle. As far as the story goes, a sacred shard that has been protecting the kingdom for ages has been showing signs of growing weaker. Hence, you are called forth to help prepare for when it can no longer serve its purpose protecting the kingdom. To do this, you were tasked to commence and complete your own dragon-pact. However, just as you (the main character) earned your dragon, a sudden shift of events takes place within the kingdom, and reveals that behind it all (or at least how the introductory video hints us) are your own siblings and your father, the current king. The game features most of the basic staples of your typical mobile RPG game including the variety of Characters to earn in the game, a class system, an element system, a city-build component (called Halidom in the game), party customization and attribute Leveling and upgrading system, a battle-rating system, summons (dragon shape-shifting), auto-battle, a movement penalty system is in place too and a Gameplay that is divided into Missions. Instanced Quests pitches you right into the lore which caters to players that are story-centric. 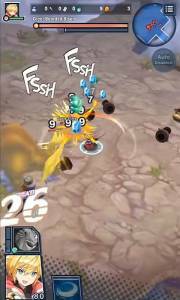 The dungeon (or per quest-long) battles typically lasts 3-5 minutes which is typical of mobile platform based games -- that enables you to pick up on it even on your short breaks, anytime of the day. 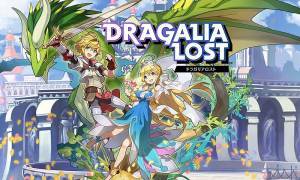 Dragalia Lost is surely one of the games that's been most anticipated this year, and for all we know might just be the next game that will lure us back in the addictive and exciting world of RPG’s. The graphics, its intuitive Gameplay, and the game's level of polish (and it is free to play to boot) definitely makes it a great pick! Check the pages of the guide as we'll constantly improve on them. Dragalia Lost gets released on the 27th of September. Welcome to the guide! Please use the menu on the right to navigate. What's the difference in gameplay with micro-transactions? How does leveling work on Dragalia Lost? How To Earn Wyrmites Fast? What is Re-rolling in Dragalia Lost? What is the Halidom for? What is the Mana Pool for in Dragalia Lost? 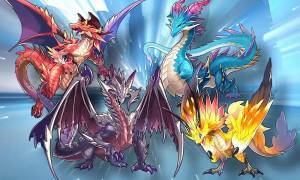 How to Level Up your Dragons in Dragalia Lost? Are there Special Events in Dragalia Lost? No discussions open for Dragalia Lost at the moment.